First Week of Spring Season Happenings! It has been a super busy couple of weeks for the RiverCity staff and students as we have completed our season-ending shows last weekend and started up our Spring Season this week. Tonight we start our next session of Pop Rocks, Saturday our Rockers Mix-Tape, Rockers Originals, and our newest Adult program for ages 19-29 called the Rebels on Sunday evening. You still have time to enroll so if you are interested, please contact us and we will get you enrolled. Spring Break Special - Save 15% On Our Spring Music Classes for Kids, Teens, & Adults! Play music now! We have fun music classes for all ages and abilities. Most classes include a weekly band rehearsal, a private music lesson, and a show all for about the price of monthly music lessons. Best value, play in a band, students make fast progress, and a welcoming community. Check out all of our classes for kids, teens, and adults. We have new classes for young adults ages 19-29 and originals for teens, as well as our widely popular rockers programs for teen ages 12-18. Special savings and space is limited so hurry! Rocking Holiday Deals on Music! Need a special gift for that hard to buy person? How about our Adult Rock Class for Dad? Mom? Any new instruments expected from Santa or under the tree? 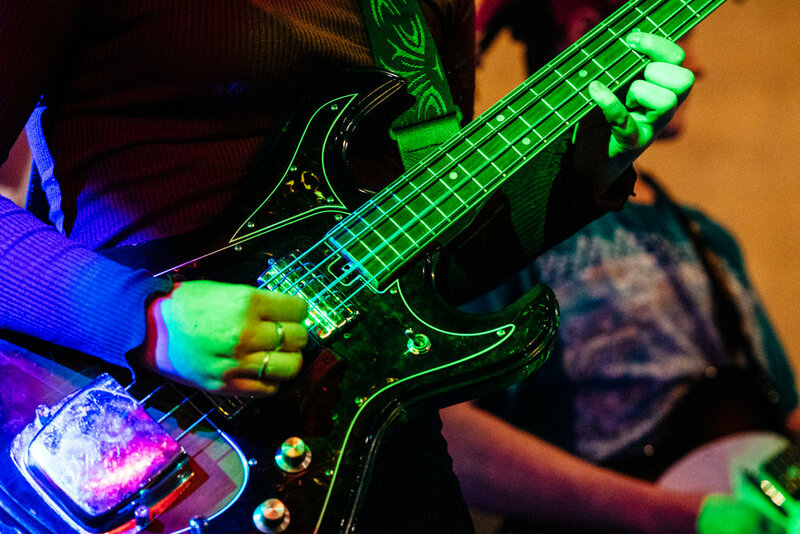 How about a private lesson package or sign up for one of our classes and play in a band? Check out all of the Holiday Deals!